Have you ever received an invitation that you couldn't accept? Chances are, you have more than once. You've probably even sent invitations to people who had to turn you down. 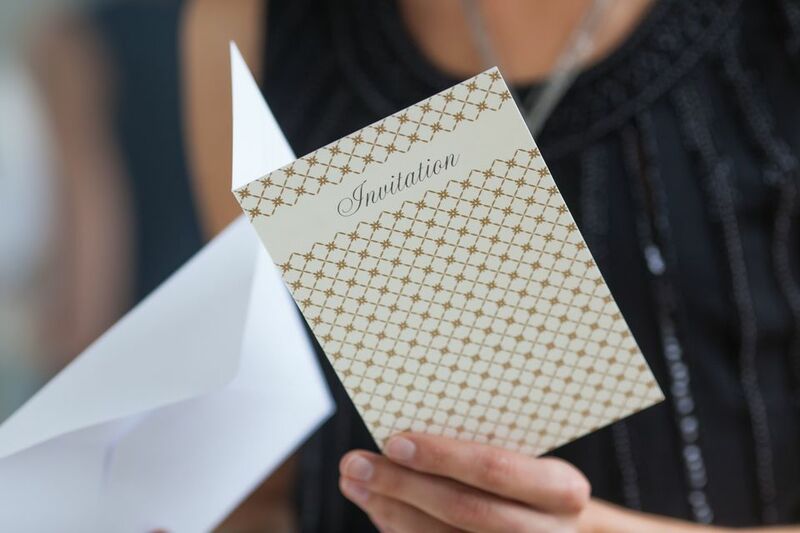 Do you struggle with how to decline an invitation without hurting someone's feelings or causing conflict? Does it bother you to turn someone down? There are ways you can decline any invitation if you do it with sincerity and show respect for the person who sent it to you. Even though you may think you're letting someone down when you say no, that's probably not the case. Unless you're involved with the planning, or you've already committed to going, you won't be letting anyone down. It's fine to decline an invitation if you are unable to attend. The key is to let the person know whether or not you can accept the invitation as soon as possible and in a polite manner. The person who sent you the invitation will appreciate a quick response. As much as you'd like to go to everything you're invited to, there are times when you simply can't. Perhaps you already have plans for that particular time, or you have to work. Or maybe you're exhausted and need to pull it in for a while. Overextending yourself can cause you to get your wires crossed, making you appear flaky and irresponsible. You might be tempted to not respond because you don't want to hurt the person's feelings, or you worry that you won't get invited to their next event. Maybe you think that if you ignore the invitation, it won't be a big deal to simply not show up. That's flawed thinking because ignoring it is rude and inconsiderate, which could keep you off future guest lists. Even if you're the kind of person who has a difficult time saying no, you need to dig deep and do the right thing by politely letting the host know that you are unable to attend. You don't have to draw out an excuse. In fact, it's better to be brief but polite. Remember that declining an invitation doesn't mean you're rejecting the person who sent it to you. It's simply a statement that you are unable to attend whatever you've been invited to. Don't ignore the invitation. Putting the invitation aside to deal with later isn't good for you or the person who sent it. She needs to know whether or not you'll be there. Ignoring the invitation shows that you don't know proper etiquette, and you might be left off the guest list for her next party. Don't wait. As soon as you know you'll be unable to go, let the person know. Most events require planning and budgeting. Be thankful. Always sincerely thank the person for inviting you and let her know that you're honored that she'd think highly enough of you to send the invitation. Be honest. You don't ever have to come up with false excuses for why you're unable to go to the event, but you also don't have to go into detail. Let her know that you already have plans. That should be enough. Ask for a different time. If the invitation is exclusive to you, let the person know you're unable to make it at the time she requested, but you'd love to get together with her at another time. This is obviously not an option if it's a group get-together. Don't over-explain. If you can't make it, keep your explanation short and to the point. Doing otherwise will make it sound like you're just trying to come up with excuses. Send something. If you would typically bring a gift to whatever event you were invited to, such as a birthday party or baby shower, go ahead and send something. Sometimes you can state your response in person, on the phone, or simply a check mark on an RSVP card. However, there may be times when you need to write a note. The tone of your letter should reflect your relationship with the person who invited you. If it is a close personal friend, it will be much less formal than one for a business acquaintance. Thank you so much for inviting me to your birthday party. Unfortunately, I already have plans for that night, so I won't be able to attend. I hope you have a wonderful time celebrating this special occasion. Congratulations on your new position! I wish I could attend your promotion party, but I'll be out of town that weekend. Maybe we can get together for drinks soon, and you can tell me all about your new job. I wish you the very best. Thank you for the invitation to your daughter's graduation party. I know how proud you are. If I could make it, I definitely would, but I've already booked my flight out of town to visit my parents. Please congratulate her for me and let her know I'll be there in spirit. I received your invitation to your company's luncheon. I regret to inform you that I won't be able to attend due to another business commitment. Thank you for thinking of me. After the event, it is fine to call the person and ask how the event went. You may want to express your regrets about not being able to make it, but if you do that, have a positive attitude. You might want to say something like, "It sounds like you had a wonderful time."